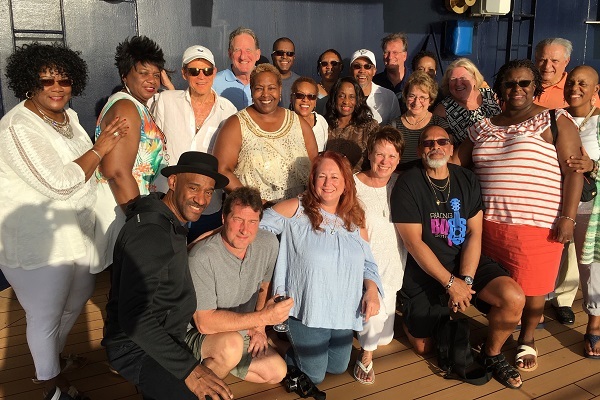 Members of the Boscov’s Berks Jazz Fest cruise family hang with Marcus Miller, David Sanborn, and ECP’s Michael Lazaroff during the Blue Note at Sea cruise last January. Sign up now to be part of the Berks Jazz Fest group for the January sailing of BNAS! 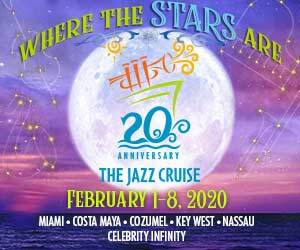 JOIN JOHN ERNESTO ON BLUE NOTE AT SEA 2019! SPECIAL PACKAGE AND PRICING FOR BERKS FANS! YOU CAN SAIL FOR AS LOW AS $1,000 PER PERSON! 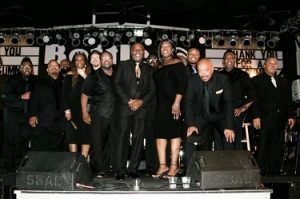 As many of you know, the Berks Jazz Fest and Entertainment Cruise Productions have been working together for many years. 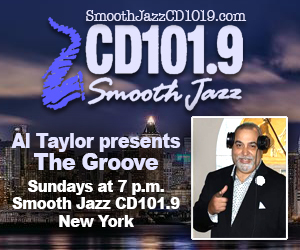 ECP is a major sponsor of our festival and we are huge supporters of their jazz cruise programs — The Smooth Jazz Cruise, The Jazz Cruise and Blue Note at Sea! In furtherance of our alliance, ECP has agreed to make several Ocean View Staterooms available to the Berks Jazz Fest community. The sailing is very successful, which gives ECP the opportunity to allow us to sail for the lowest prices ever offered. — OR AN OCEAN VIEW STATEROOM FOR AS LOW AS $1,500 PER PERSON. We cannot say how long this offer will last or how many staterooms can be reserved at this price, but for the next few days for sure, this deal is available only to Boscov’s Berks Jazz Fest fans. Call my friends at ECP or go online, but be sure to use the Promo Code: JAZZ19 and mention Berks Jazz Fest! Suzie and I will be on the cruise. Hope you can join us for the Berks Jazz Fest Party At Sea! 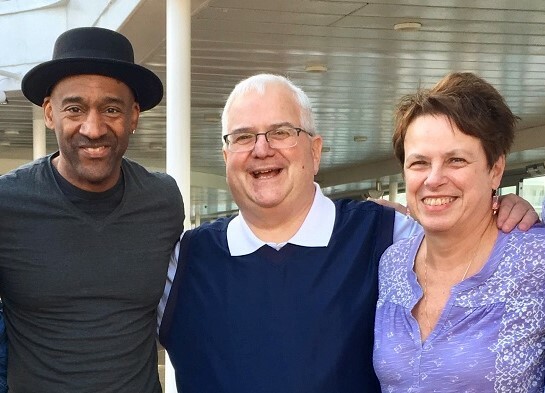 John and Suzie Ernesto catch up with Marcus Miller, musical host of the Blue Note At Sea cruise, last January. $1,000 Staterooms! Sign Up Now for Amazing ECP Offer to Berks Fans! Join John Ernesto on the Blue Note At Sea Cruise / Jan. 26 – Feb. 2!